There are few things in this world that can elicit a response as that of a sweet smelling rose, freshly cut from the garden. This alluring aroma is one of the reasons many gardeners make sure they always have at least one or two roses in their gardens. While most roses have some fragrance, even if it's just a subtle one, there are a number that have none, and even more that have absolutely stunning fragrances that you are sure to fall in love with. 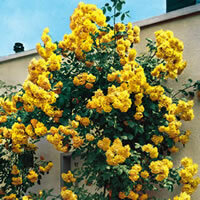 One of the most popular fragrant climbing roses that I've ever smelled has got to be the Don Juan climbing roses. These roses, in addition to their deep, rich red color, have got an incredible damask scent that just blows you away. The Fourth of July climbing roses also have a terrific fragrance to them and the striped red and white blooms are definitely a showpiece that will stand out in just about any location you give them. Angel Face climbing roses are also fragrant and offer unique lavender colored blooms that you just don't see often in most gardens. Autumn Sunset climbing roses are extremely fragrant flowers and just wait until you plant one of these in your garden and see the yellow to orange blossoms explode with color! Selecting the location for your climbing roses is one of the most important decisions you have to make and there are a few guidelines you need to follow in order to get the most out of your roses. The first thing is choosing a location that has great exposure to sunlight. The whole point of growing fragrant roses is to enjoy them and let their blooms fill up your space with a wonderful aroma. 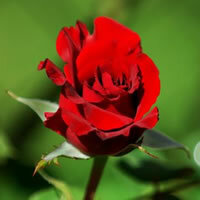 In order to give you the blooms you desire, your roses need sunlight, and lots of it! Try to find a place that gets at least 6 hours a day of direct sunlight, but 8 to 10 is even better! The location should also have soil that is well drained and doesn't stay wet or damp for long periods of time. Sometimes this is difficult, especially if you want to plant up close to your house or porch where you can enjoy the fragrance of your roses every day. If you plant your fragrant climbing roses in a location that stays constantly wet, you risk an invitation to pests and diseases down the line, so do yourself a favor early on and find the right location. Planting your climbing roses is a snap and if you do it properly you will give your roses the best possible start to their new life in your garden. If you bought your fragrant climbing roses in a container, then all you need to do is dig your hole a few inches wider than the container they came in, and deep enough so that the plant maintains the same depth it was in the container. I like to keep a bag of fresh organic compost handy for all my planting. Mix the dug up soil 2 to 1 with the compost before filling the hole. If you received your rose as a bareroot plant then you will have to dig a hole that is wide enough to allow the roots to be fully extended outward, and deep enough so that the bud union sits about an inch or two below the top of the soil. It is also a good idea to mound up some of your new soil mix in the center of the hole, allowing the roots to angle downward towards the outside. Backfill the hole halfway and water thoroughly, allowing the soil to completely cover the roots. Then backfill the hole the rest of the way. This method should prevent any air pockets from forming and ensure complete coverage of the roots. Taking proper care of your climbing roses is essential to getting them to give you the best performance they are capable of. One of the most important factors is how often you water them. There is an important balance here as roses need ample water in order to bloom profusely, but too much water will be an open invitation to diseases and pests. A good rule of thumb is to allow them one thorough watering each week under moderate climate conditions. Hotter or drier climates will obviously need a more frequent schedule. You also want to be careful how you water your roses. Obviously if Mother Nature is doing the job for you, there is little you can do. If you are watering them by hand, try to avoid watering the leaves themselves as much as possible and just water the base of the plant. Depending on how much air circulation your location has, the leaves may not dry out properly between watering and that could spell problems for you down the line. 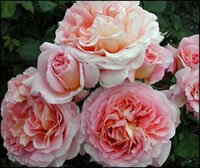 Many rose growers adopt a single feeding per season routine when growing their fragrant climbing roses. This feeding almost always is done in the early spring as the leaves begin to form. If you are going to be diligent with your roses and want them to bloom throughout the entire growing season, you can feed them 2 more times as the season progresses. I prefer to use an all-purpose granular fertilizer rather than the various chemical liquid fertilizers that are on the market. Too many times the chemical ones have burned my plants so I've just learned to avoid them altogether. 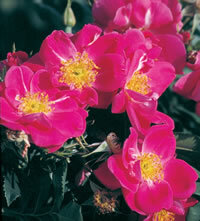 You can give your climbing roses a second feeding just as the first big bloom starts to develop. The third is often done around mid-July, to help promote additional blooms. One important note about multiple feedings is you do not want to do them too close together; this is will have the opposite result than what you're looking for. Try to keep your feedings at least 1 month apart and always follow the instructions on the product you are using.